Do you sell soft-serve or scooped hard ice cream? No we do not at the moment. Prepackaged novelty ice creams are a very quick serve product. Your guests can have their ice cream and return to class or work faster than with any product that needs to be made to order. We have items that appeal to children and adults as well. We take Visa, Mastercard, Discover and American Express in addition to cash and company checks. We can invoice corporate clients net 10 days maximum. Sorry we cannot offer net 30 or longer terms. No personal checks. Do you request a deposit to hold our date and time? Not now. We operate on a good will handshake type agreement. Through confirmation via a phone call or email, we take reservations on a 1st booked basis. We will keep our time committment to you and we hope you will do the same. We do understand things happen, and would appreciate you cancel before 14 days prior to event so we have an opportunity to re-book that time. If you feel more comfortable with a down payment and/or a contract, we can do that as well. Do you charge a minimum for private events? Yes, we do have small minimums to come out for private events depending on distance from Tonawanda, NY. We price depending on how far we have to travel. For example it takes 1/2 hr to drive to Lancaster, NY. Staying for 1/2 hr to serve and then 1/2 hr back to Tonawanda, we would have a minimum charge of $135 as we have to dedicate a minimum of 1.5 Hours for that party. It does include ice cream served up to $135 in value. Anything over you just pay for what is served. The small minimums insure we can cover all our expenses to drive longer distances. Contact for more info. How long do you stay at an event and how many can you serve? Depends on the amount of people served. We are good at what we do, so serving large numbers of people in limited time frames is not a problem. We can comfortably serve over 200 an hour. Our typical serving time for an event is 2 hours for approximately 200 servings. If you require longer serving time, we can arrange on a per event basis. Please note, additional time may add to your cost. Do guests pay for their own ice cream? No money is exchanged with guests at corporate events or private parties. All services are contracted in advance and reconciled with the client at the end of the event. How long of a lead-time do I need to book your services? We would like to have as much time as possible as we book early and quickly. We only have one truck. A link to our calendar is on the Book Us page. However, we know how things happen so please just give us a call and we will do our best to accommodate. Do you accept rain checks? Sorry, because there is so much preparation for an event, there are no rain checks. Rain or shine, we will be there. If you cancel because of rain and want to reschedule, we will do our best to accomodate your event. Does the truck play traditional ice cream music? You Bet! When we arrive we would be happy to have the ice cream truck music playing. Equally important, if the songs start to drive you crazy, we can turn it off at any time. Please tell us ahead of time so we can be ready! We can play requests of other songs with 2 day notice. Can we get in the truck and pass out ice cream or pose for pictures? We let birthday boys / girls, bosses and even a bride in her wedding dress who get inside the truck pose for pictures, but generally it’s much more efficient for us to pass out the ice cream. Do I need to know my choices ahead of time? Our truck is always stocked with all products. We have pictures of all items on the side of the truck. For large parties of 400 or more we generally want you to limit the selections as this makes it quicker for people to decide what they want and will prevent us from running out of an item too quickly. We can cover up the pictures on the side of the truck with a banner and make up and hang a sign showing your choices. If we don’t cover up what is not offered it can make some adults and kids unhappy because they can’t get something they want. It’s hard for people to focus on a sign showing what is available when there are so many pictures on the truck. We can do the same for smaller parties too, as long as you hit the minimum charge established for your event. We may charge up to $25 for this service as it takes time to do this whether the party is 50 people or 500 people. How much ice cream is on the truck? 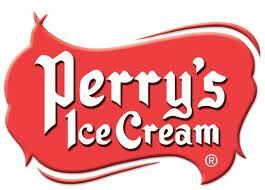 We generally stock approximately 1500 or more ice creams. Do you rent empty pushcarts so we can sell our own products? No we don't. 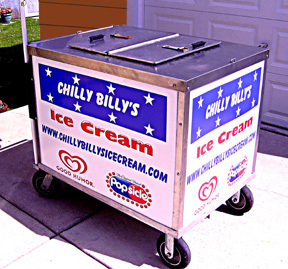 We are in the ice cream business and carts are generally used for longer events, indoor or outdoor where it is impractical for the truck. It is a convenience for our customers. For more info click on Pushcart Rental. Do you have any ice cream for diabetics? We try to carry a NSA (no sugar added) product, but please ask when booking. 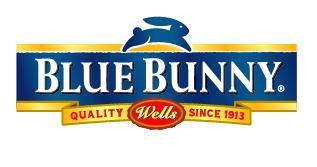 Most products are Kosher Certified. Can we put our promotional signs on your truck at an event? You sure can. We have lots of companies and sales reps who like to doll up the ice cream truck with promotion material.